That's what you get when you make cookies with a waffle iron. Gone are the days of waiting for a tray of cookies to come out of the oven (which usually average 8 to 10 minutes). These waffles cookies "bake" up in just over 1 minute, and have the perfect ratio of crispy exterior with a soft and chewy centre. I love how these cookies are basically a "mini waffle." They're absolutely gorgeous, kids (and adults!) will find them irresistible, and hey, what better excuse than to have dessert for breakfast, right? Best of all, they're the perfect vehicle for an amazing ice cream sandwich. In a small bowl, stir together the whole wheat and all-purpose flours, baking soda and salt. Set aside. In another large bowl, cream the butter and brown sugar with an electric mixer until smooth, about 2 minutes. Add the eggs in one at a time, mixing after each addition until incorporated. Add the vanilla and mix until fluffy and smooth, about 2 minutes. Stir in the dry ingredients and mix until just incorporated. Stir in the oats and chocolate chips. Don't overmix. 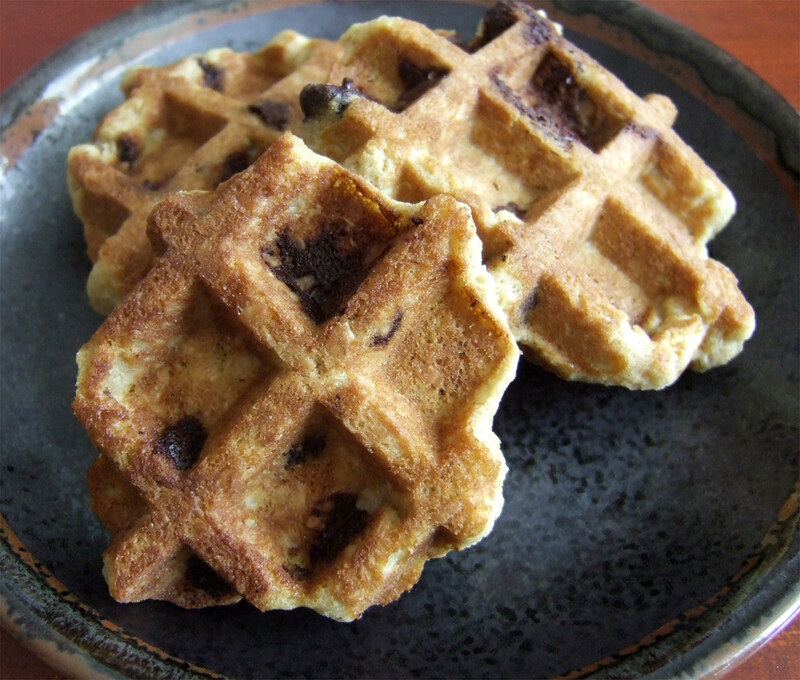 Using a tablespoon or a small ice cream scoop, spoon some cookie to portion out a cookie onto each waffle square. Close the iron and cook until set and beginning to brown, about 1 minute and 10 seconds, depending on the heat of your waffle iron. Use a thin metal spatula to transfer the cooked cookies to a wire rack and repeat with the remaining dough. Posted by Bonita at 6:33 p.m.
annielicious14 April 24, 2010 at 8:41 p.m. These look amazing. 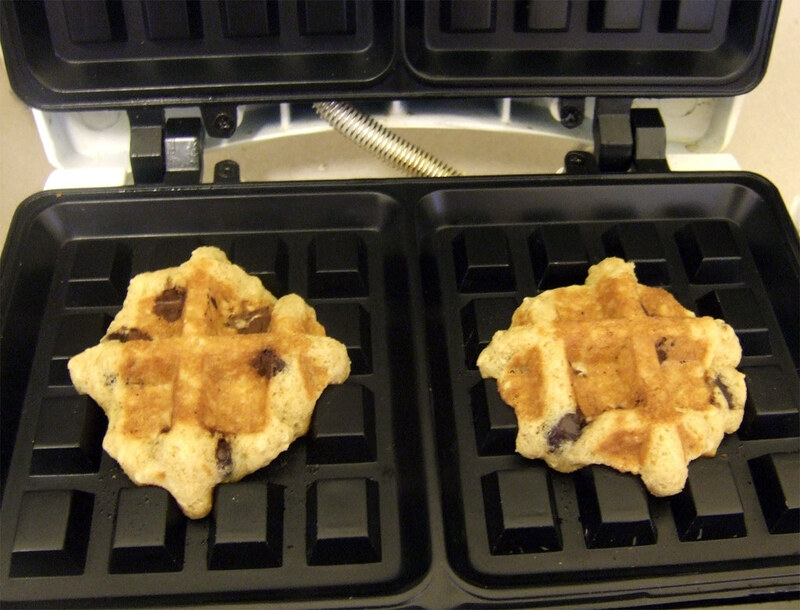 to think I only use my waffle iron for waffles! silly me! Great post! Anonymous April 25, 2010 at 3:42 p.m.
Those are fabulous!!! I can't wait to try the recipe, thanks! Tonya @ What's On My Plate April 25, 2010 at 8:06 p.m.
Kaela April 26, 2010 at 2:35 p.m. Anonymous April 29, 2010 at 8:33 p.m.
How creative! I especially love the ice cream waffles. 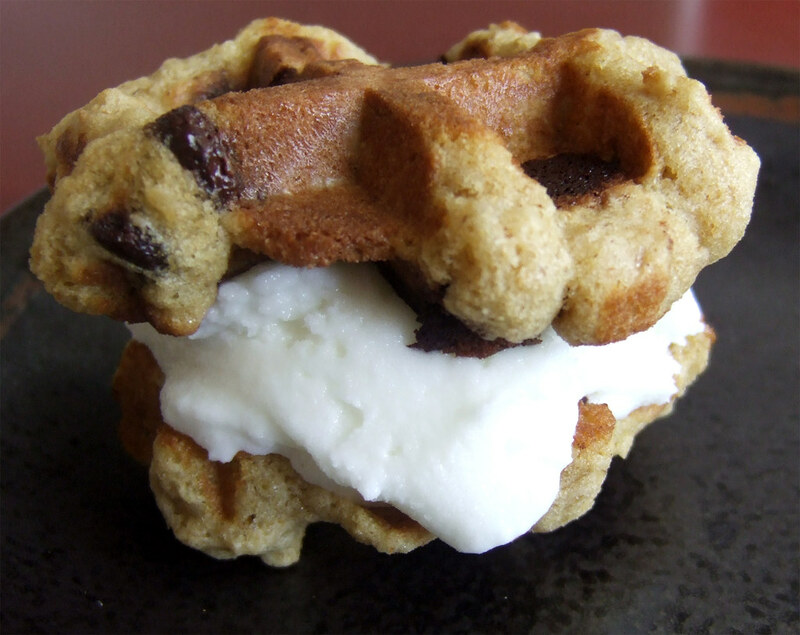 I've actually seen ice cream waffles before, but the waffles were more like flat biscuits. I think I prefer your version. Shea M. May 29, 2010 at 8:05 a.m. Pure genius... there are no words!